Recognizing the passing of members of the campus community who during their careers shared their talents in helping Western students, faculty, staff and alumni to be their best. Professor Emeritus, Ronald Passi died on Nov. 15, 2013 at the age of 77. Prior to Ron's retirement in 2001 he had 33 years of service with the Department of Surgery. Beloved husband of Nancy (Hanninen) Passi for 55 years. Loving father of Sharon (Bruce) Farnell, Norm (Linda) Passi and Eric (Carrie) Passi. Dear brother of John Passi. Also loved by his grandchildren: Amanda, Jennifer, Ingrid, Derek and Violet. Those wishing to make a donation in memory of Ron are asked to consider the London Health Sciences Foundation. Johanna Ramakers worked in Hospitality Services for 18 years prior to her retirement in 1984. Johanna died at the age of 94 on Dec. 5, 2013. Loving and beloved wife of Willem "Bill" Ramakers for 70 years. Loved forever and always by her family. Cherished in the hearts of daughters Mary Duffett (Wayne) and Lily "Beth" Hahn. Dearly loved Oma to Sarah (Justin), Emily, Cameron, Spencer and Trevor, and Oma-Oma to Dominic, Tieryn, Abby, Aidan and Justin. Missed by younger brother Johan "Jan" Linders of Eindhoven, Holland. Without our Anneke, Annie, Ann, Mom, Mamushka, Oma, Oma-Oma . . . there will be a hole in our hearts forever more. For every stitch you stitched for us, until your fingers would no longer allow it, for every song you sang, for the limitless unconditional love you always gave, we will be forever thankful. You have always been, and will always be Our Angel. Cremation has taken place. A private service will be held. Expressions of sympathy and donations to the Make-A-Wish Foundation of Southwestern Ontario would be appreciated and may be made through LONDON CREMATION SERVICES 519-672-0459 or online at www.londoncremation.com. Retired Western Libraries staff member Helga Von Aderkas died on Dec. 13 at the age of 91. Prior to her retirement in 1987 Helga had 25 years of service. Predeceased by her husband Heinz, who died in 1999, she is survived by her daughter Brigitte, sons Patrick (Elizabeth) and Lex, as well as grandchildren Nelly, Edward, Max, Hayley, Garrett, their spouses and partners. Born in Nömme near Tallinn, Helga spent her childhood years in Estonia until the outbreak of World War II, when the family was relocated to Warthegau, in occupied Poland. She married Heinz in March, 1945. When the eastern front collapsed, she fled with her in-laws to northwest Bavaria. Her husband returned from French prisoner-of-war camps three years later and they started a family. In 1950, they emigrated to Canada. After a year as indentured farm labour near Linwood, they moved to London, Ontario where Helga rose from being a house cleaner to librarian's position at University of Western Ontario. She would eventually receive her Bachelor of Arts from UWO. Upon her retirement, Helga and Heinz moved to Waterloo. She then enrolled at University of Waterloo. At 72, she defended her Masters thesis on the work of the poet Manfred Kyber. Helga was an active member in the Baltic-German community in London and Kitchener-Waterloo. She had great affection for her friends and family and had a wonderful sense of humour. Her last years were spent in Luther Village on the Park where she was lovingly cared for. A service will be held in Helga's memory in the chapel of the ERB & GOOD FAMILY FUNERAL HOME, 171 King St. S., Waterloo on Saturday, December 21, 2013 at 11 a.m. with Rev. Mark Harris officiating. Memorial donations to either the Alzheimer Society Kitchener/Waterloo http://www.alzheimer.ca/en/Get-involved or to the Heart and Stroke Foundation of Ontario http://www.heartandstroke.on.ca would be appreciated. Condolences for the family may also be arranged by contacting the funeral home at www.erbgood.com or 519-745-8445. Former Dean of the Faculty of Science, William Fyfe died on November 11th in his 87th year. Prior to his retirement William had 20 years of service at Western. He is survived by wife Patricia and his sons, Christopher Fyfe of Cambridge, and Stefan Fyfe of Norway. Born in Ashburton, New Zealand, he was the first student from his one-room school to attend university. He received his BSc, MSc, and PhD from Otago University, and then taught at The University of California, Berkeley, Imperial College, London, and The University of Manchester, before coming to the University of Western Ontario in 1972, as Chair of the Department of Geology. He served as Dean of the Faculty of Science from 1986 to 1990. He was widely considered to be among the world's most eminent geochemists, and his prominent research achievements in geochemistry, mineralogy, petrology, and environmental geology gave him international stature. Passionately concerned about science education and the environment, he spoke to audiences all over the world. His prodigious teaching, research and publications (which included eleven books and more than four-hundred and fifty scientific papers) earned him numerous national and international honours. In terms of honorary degrees, he received DSc from Memorial University, The University of Lisbon, Lakehead University, St. Mary's University, Otago University, Guelph University, The University of Western Ontario, and The University of Alberta. He was awarded fifteen major medals and prizes, including the Logan Medal (Geological Association of Canada), the Willett G. Miller Medal (Royal Society of Canada), the Arthur Holmes Medal (European Union of Geosciences), the Arthur Day Medal (Geological Society of America), the Canada Gold Medal for Science and Engineering, the Roebling Medal (Mineralogical Society of America), the Medal of the National Order of Scientific Merit (Brazil), the Wollaston Medal (Geological Society of London), and the Helmuth Prize for Achievements in Research (The University of Western Ontario). In 1989, he was inducted as a Companion of the Order of Canada. (This was the one honour which moved him to tears, because it is given in recognition of a lifetime of outstanding achievement and merit of the highest degree, especially in service to Canada or to humanity at large.) He was elected as a Fellow to eight scientific academies: The Royal Society London (U.K.), The Royal Society of New Zealand, The Royal Society of Canada, The Brazilian Academy of Sciences, The Russian Academy of Sciences, The Indian Nation Academy of Sciences, The Geological Association of Canada, and the Geological Society of America. He was also named as an honorary professor at China University, Beijing, and at the Institute of Geology in the Chinese Academy of Science. His travels took him to more than sixty countries, and this was reflected in the graduate students he supervised, who came from thirty different countries. He treated them as colleagues, mentoring and assisting them in many ways. He also served the larger geoscience community in a variety of ways, most notably during a four-year term as President of the International Union of Geosciences. His was truly a life well lived. In accordance with his wishes, cremation has taken place. A celebration of his life will be announced at a later date. Expressions of sympathy and donations to the W.S. Fyfe Visiting Scientist Fund, Foundation Western, would be appreciated and may be made through LONDON CREMATION SERVICES (519) 672-0459 or online at www.londoncremation.com. For those who wish to make a donation in his honour, please address it to Paula Luchak, Office of the Dean, Faculty of Science, Western Science Centre, Western University, London, Ontario, N6A 5B7. Any cheques should be made out to Western University, with a memo note or covering letter indicating that the donation will support the William S. Fyfe Distinguished Visiting Scientist Fund. The staff at University Hospital, who took care of him during his illness, showed great compassion and dedication, and his family will always be grateful to them. Professor Emeritus, Robert Barr formerly of the Department of Medicine, died on October 22nd at the age of 74. Beloved husband for 53 years of Mary Barr, nee Turnbull. Loving father of David and his partner Jolene, Richard and his wife Laura, all of London, Catherine and her husband Dale of Aylmer. Dear Papa of Megan, Andrew, Jameson, Lauren, Spencer, Michael, and Nolan. Brother of Hugh and his wife Cathy, Lynn and her husband Bob McMaster, David and his wife Linda and brother-in-law of Ann and her husband John Brush. Fondly remembered by many nieces and nephews. Predeceased by his parents Ruth and Murray Barr. Dr. Barr enjoyed a distinguished, 40 year career, retiring 2 years ago as a Professor of Medicine. In this time, he accepted a series of administrative appointments including Director of Post Graduate Medicine and Assistant Dean of Post Graduate Medicine at the University of Western Ontario. His training was ideal for combining leadership roles in both clinical hematology and laboratory medicine. He also served as the Medical Director for the London Centre Canadian Red Cross Transfusion Service for 35 years. Dr. Barr is fondly remembered by many as a physician that spent time at a patient's bedside and as an excellent teacher. Bob particularly enjoyed spending time with family and friends at the cottages, as well as gardening and travelling with Mary. In lieu of flowers, memorial contributions to Canadian Blood Services would be gratefully acknowledged. Professor Emeritus, John McDougall who retired from the Department of Political Science in 2008, died on October 22 at the age of 68. Prior to his retirement John had 34 years of service at Western. Professor McDougall taught international relations to generations of students, specializing in political economy. He was the author of three books: Fuels and the National Policy (1982), The Politics and Economics of Eric Kierans (1993), and Drifting Together: The Political Economy of Canada-U.S. Integration (2006). He will be sorely missed by his many Western friends, especially at the Grad Club on Friday afternoons. Son of the late Fred Watling McDougall and Doris Mary (Gaskarth) McDougall, John was born in Edmonton on 17 July 1945. He was a graduate of the University of Calgary, the London School of Economics, and the University of Alberta. He is survived by his brother Fred William McDougall, sister-in-law Gail, niece Nancy (Darren Kirkpatrick), nephew Ian, and grand-nephews Tom and Matthew Kirkpatrick, all of Edmonton. He is also survived by his former wife, Valerie Swinton. A memorial service in memory of John's life is being held at Western University, Social Science Bld – Staff/Faculty Lounge, Rm 3036 on Friday, December 6, 2013 – 3:30 to 5:30 p.m. Donations in his memory to any charity or educational institution are gratefully appreciated. Bill Youngson retired from the Parking Office in 2000 after 12 years at Western. He died on November 18th at the age of 78. He is survived by his wife Mary, daughters Karen Cholin (Ian) of Thunder Bay, Brenda Youngson of Keswick, stepdaughter Barbara Czyzowski of Toronto, brother Jack (Ann) of Mitchell, sisters Leone and Mary (Ray) of St. Marys, grandchildren James, Heidi and Jessica as well as many nieces and nephews. Predeceased by his parents Dave and Annie Youngson, brother Gerald, brothers-in-law Bob Conley and Bill Vanderholst, sister-in-law Dorothy Youngson, stepson Stephen Czyzowski and son-in-law Ken Flood. Denise Power a staff member in the Department of Oncology died on November 13, 2013 at the age of 45. Denise had 23 years of service at Western. Beloved wife and life partner to Greg for 25 years. Much loved mom of Jesse (Kelly). Beloved daughter to Theresa and William Hynes and daughter-in-law to Jackie (late Steve) Power. Adored sister and best friend to Billy (Barb), Gary (Wanda), Kenny, Terry, Elizabeth (Howard), Vicky and Cathy (Chris). Denise will be missed by the Power and Baker families, aunts, uncles, nieces, nephews and many friends. A special thank you to all that stayed by her side for her final days. A celebration of Denise's life will be held at FOREST LAWN MEMORIAL CHAPEL, 1997 Dundas St. E. (at Wavell) on Monday, November 18, 2013 at 11 a.m. with visitation one hour prior. Retired Faculty of Education professor Robert Bass died on October 24, 2013 at the age of 95. When he retired from Western in 1975 Bob had 10 years of service. Beloved father of Penelope Bass (Udo Korte), Bob Bass (Janet), Brenda Bass (Doug Petty), and Sylvia Bass West (Bruce West); proud grandfather of Jessie Bass-West, Michael Bass-West, Christopher Bass and Mary Claire Bass. Loving companion of Mrs. June Bullock. Predeceased by his wife Helen (nee Storey), his second wife Faye (McLean), and his brother Jim, his sister Jean and step-daughter Anne. Also missed by the McLean family: Bruce and Linda and their children Abby and J.B. , Bill Hudson and his sons Matthew and Christopher, and Ross McLean. Remembered fondly by his sisters-in-law, nieces, nephews, cousins and many friends and colleagues. Bob was a career educator with a strong commitment to the public education system. During his long career, he taught in many locations across Ontario from Rainy River to Windsor and was frequently recognized and greeted by his former students. Bob ended his career at Althouse College at the University of Western Ontario, his alma mater (1938), where he helped launch a new generation of teachers. He was particularly proud of initiating the successful PEMSTEP program for educating Physical Education, Math and Science teachers. Bob served as a navigator in the Canadian Air Force (Bomber Support over Europe) during WWII. While completing his training in Nassau in the Bahamas, his plane crashed into the ocean on D-Day (June 6, 1944), giving him a life membership in the Goldfish Club. Bob's childhood on a farm outside of Thedford, ON was a happy and healthy one. He often said that the most important lessons he learned in life were taught to him by his parents on the farm. Bob's retirement was long and fulfilling; he was energetically involved as a volunteer, world traveler, antique dealer, tennis player, collector, cottage-lover and watercolourist. He was a master of Bridge, Cribbage and Rook. Bob's legacy is his loving support of family, friends and community. As an expression of sympathy, memorial donations may be made to First St. Andrews United Church, 350 Queens Ave, London, ON N6B 1X6. Professor Emeritus Patrick Jacobs died on March 31, 2013 at the age of 89. When he retired from the Chemistry department in 1989 Patrick had 24 years of service at Western. Born in Umhlali, (near Durban) KwaZulu-Natal, South Africa, Patrick obtained his B.Sc. and M.Sc. at the University of Natal. After stints in the Special Signals Unit (army) and at Rhodes College after the war, he moved to Imperial College, London, England, where he received his Ph.D. in 1951 and D.Sc. in 1963, attaining the post of senior lecturer. In 1965 he moved to Western to become Senior Professor of Chemistry. In 1970 Patrick co-founded the Centre for Chemical Physics at Western with Dr. William McGowan, bringing together likeminded researchers to create a network which exists today and will hold a symposium in his name in England in September of this year. He continued research in the areas of solid state reactions, electronic and ionic defects in crystals, simulation of solids using molecular dynamics and quantum chemical techniques, publishing a total of 315 papers and two books, "Group Theory with Applications in Chemical Physics" in 2010 and "Thermodynamics" in 2013. Betty Shecter died on August 24, 2013 at the age of 82. Prior to her retirement in 1992, Betty had 14 years of service as a staff member in Student Health Services. Betty is survived by her husband Mel; daughters Barb (Barry), Caroline, Marna (John), and Judy (Jon); sister Marilyn; brother Moe; and her grandchildren and great- grandchildren. Predeceased by her brothers Joe and Abie, and sister Ruth. Memorial donations may be made to Ve'Ahavta, 416-964-7698 or to the Canadian Cancer Society. Retired Facilities Management staff member Ivan Bucik died on Aug. 29, 2013 at the age of 83. Prior to his retirement in 1992 Ivan had 29 years of service at Western. Ivan was born in Kostanjevica, Slovenia (formerly Yugoslavia and Italy). Survived by his niece Helen of London, nephew Michael (Susan) of West Lorne and niece Beth of Iona Station. Ivan will be fondly remembered as great uncle to Jonathon, Sara, Mary Jane, Mallory, JoLeen, Jaymee and Joe and great great uncle to Sophie. Ivan is also survived by his sister Paola Bucik of Italy, sister Maria Franz of Australia and many nieces and nephews in Australia, Italy and Argentina. Predeceased by his parents Anton (1963) and Maria (1975) Bucik and brothers Louis Bucik (1951), Sylvester Bucik (1988), Tony Bucik (2005), Joseph Bucik (2012), sister Giselle Peternel (2004) and Veronica Peternel (2013). Food Services staff member Denise McPherson died on Aug. 24, 2013 at the age of 52. In her time at Western Denise had 12 years of service. Loving wife and best friend to Robert "Bob" for 26 years. Devoted and cherished mom of Samantha. Beloved sister to Belinda (Mario) Papini, Andrea Oakley, Chris (Thelma) Oakley and their families. Much loved daughter of Bernard and Joan Oakley. Adored daughter-in-law to Ron and Jean. Denise will be lovingly remembered by her sister-in-law Sharon (Doug) and brothers-in-law Dennis, Clayton (Jane), Alan (Corina) and Bruce (Nicole) and their families. Denise will be missed by many aunts, uncles and friends. Funeral Mass will be held at St. Patrick Parish, 377 Oakland Ave., London on Friday, August 30, 2013 at 11 a.m. Visitation will be held at the church one hour prior. Interment at Forest Lawn Memorial Gardens. In lieu of flowers, donations my be made to the London Regional Cancer Program, in memory of Denise. Online condolences accepted at www.forestlawnmemorial.ca . When he retired in 2001, Bill Gougoulias had 32 years of service in Facilities Management at Western. Bill died on July 27th at the age of 82. Bill is survived by his wife of 52 years, Dimitra. Also left to mourn are his children Tom and Milton (Laurie) and his loving grandchildren Larissa, Bill and Jack. Bill will be missed by his brothers John (Ioannis) of London, Dimitrios and Elias of Greece, several nieces and nephews, and his brothers and sisters in law in both Canada and Greece. Online condolences can be expressed at www.loganfh.ca A tree will be planted, by the Logan Funeral Home, as a living memorial to Bill Gougoulias. Retired Earth Sciences staff member, Ron Shirran died on July 29 at the age of 78. When he retired in 1994 Ron had 25 years of service. Beloved husband and best friend of Lola (Dixon) for 53 years. Loving father of Cindy & Wayne Shaddock of Exeter, and Dorothy Shirran (Rick) of Strathroy. Cherished grandfather of Justin Lockhart (Heather Cafe), Tabatha McNicol (Alvin), Brittany Thomson (Mike VanBree), Samantha Shaddock (Thomas Wood), and Tyler Thomson. Great grandfather of Lucas Lockhart, Alyssa, Alexis, A.J., Ryan, Ayden McNicol, and Nathan VanBree. Sadly missed brother of Beth Neale, and Isabelle. Also survived by brothers-in-law of Don & Laura Dixon, and Lenore & Don Young. Predeceased by brothers-in-law Gary Dixon, and Ross Neil. Professor Jane Bowles, a faculty/staff member from the Departments of Biology and Geography died on July 27 at age of 60. Jane had 22 years of service at Western. She came to Canada in 1976 to complete her PhD in the Department of Plant Sciences. Jane's thesis “Effects of disturbance on sand dunes of Pinery Provincial Park”, was conducted under the guidance of the late Dr. Anwar Maun. Jane continued to be an integral member of the Departments of Plant Sciences and Zoology (now Biology) and Geography as an adjunct professor. She taught a range of courses in both departments, including the legendary Desert Ecology field course module, with Dr. Paul Hanford. Since 2004 Jane was the Curator of the Biology Herbarium and Director of the Sherwood Fox Arboretum. She was a passionate and dedicated ecologist, worked tirelessly to preserve unique natural habitats. Jane worked on countless conservation projects across Southwestern Ontario and was a founding and devoted member of the Thames Talbot Land Trust. Plans are underway to have a newly planted native tree in the B&GS courtyard dedicated to Jane’s memory. Retired staff member from the Department of Microbiology and Immunology, Mickey Hall died on July 28 at the age of 88. When she retired in 1990 Mickey had 25 years of service at Western. Mickey lived a full and active life. She travelled the world with her sister Heather. They travelled to many parts of Europe, Africa, the Baltic's, South America and many parts of North America including Alaska and the high Arctic. She realized her dream of attaining her university degree at the age of 69 by receiving a degree in Social Sciences majoring in Women's Studies. She worked for many years for Dr. Murray at the University of Western Ontario doing research in biochemistry and cancer research. She organized the Staff Association and was the first member of the Staff Association to sit on The Board of Regents at Western. She was very involved in the community of Parkhill. She belonged to the Red Hat Society, the Quilting Guild, the Horticultural Society, and the Anglican Women's Guild. She also was a warden of the St. James' Anglican Church and a volunteer at the nursing home in Parkhill. Cremation has taken place, arrangements entrusted to Needhams Funeral Service. A memorial service will be held August 10th at 1 p.m. at St. James' Anglican Church in Parkhill with a reception to follow across the road at the Leisure Club. Donations may be made to the Diabetic Society, St. James Anglican Church in Parkhill or a charity of your choice. Professor Emeritus Cheryl Pearce had 25 years of service as a faculty member in Geography when she retired in 2010. She died on July 22 at the age of 69. Daughter of the late Elza and Fred Liebrecht, she will be greatly missed by her brother Larry (Laura) in Kelowna, British Columbia, her beloved dog Charlotte, special friend Dorothy Byrne and a far flung circle of friends and colleagues. Cheryl had a great love of life and a passionate interest in the world around her. She was a lifelong world traveller but had a special affinity for the foothills and mountains of Alberta. Her enduring interest in biology, zoology and geography translated into a passion for bird-watching, a keen appreciation of the earth's natural treasures, and her love of her dogs. Cheryl loved the Arts. From an early age she excelled in piano, dancing and photography. She was an avid reader and movie fan. She had an intense passion for excellence. In school she was always top of her class; she attained highest honours in The Royal Conservatory piano program. In her early career she was a secretary, eventually becoming an executive secretary in a major oil firm in Calgary. Cheryl decided to pursue a new challenge in her early thirties and entered the University of Calgary where she attained her Bachelor's, Master's and PhD degrees. After a short period at Queen's University she joined the Geography Department at Western. Professor Emeritus Jim Roberston, retired faculty member from Epidemiology & Biostatistics, died on July 19 at the age of 73. Prior to his retirement in 2005 Jim had 34 years of services at Western. He leaves his loved wife Judith Ann (Judy), whose respect and love for him spanned 37 years. Always impressed by Jim's knowledge, Judy heard of his first eleven years in Scotland, which included father going off to war, before Jim entered George Heriot's School for boys. In 1951, the family emigrated to Canada, and after living in Toronto for a couple of years, moved to St. Catharines, where he attended school before going to Guelph to the University of Toronto's Ontario Veterinary College in 1956. For a brief period in 1958, Jim was a commissioned officer in the Royal Canadian Army Service Corps at Camp Borden and in Germany. He graduated from OVC in 1961, then was off to Pennsylvania University to the Graduate School of Medicine for a diploma in Internal Medicine (1963-66). This was prompted by a respected mentor, who encouraged Jim toward preventative medicine, so he went on to get his Master's degree in Medical Science. Along the way, Jim was able to gain several honours and scholarships, for which he was always grateful. After all of the schooling, he decided to share his knowledge: From the University of Saskatchewan in Saskatoon (1969-71) as Associate Professor of Social and Preventative Medicine and lecturer in Epidemiology, Western College of Veterinary Medicine, University of Saskatchewan; American Cancer Society - Eleanor Roosevelt International Cancer Fellow, Dept. of Epidemiology, Harvard University School of Public Health (1971-72); Asst. Professor, Department of Epidemiology and Preventative Medicine, Faculty of Medicine, University of Western Ontario (UWO) - (1971-75); Seasonal Lecturer, Dept. Of Social and Preventative Medicine (1972-78); Member, Faculty of Graduate Studies, UWO (1973); Associate Professor of Epidemiology and Biostatistics, Faculty of Medicine, UWO (1975-2005); Adjunct Professor, Department of Epidemiology and Biostatistics, Schulich School of Medicine and Dentistry, Western University (2009-2013). In addition, for about 20 years, Dr. Robertson had volunteered his time to serve on the Research Ethics Committee, for which he spent countless hours reviewing protocols of medical research projects involving human participation. Jim's keen eye and valuable contributions will be missed by those on the committee who knew and respected him, and by the medical community in general, as well as his close friends and acquaintances. Jim was a quiet person, self-effacing; a generous man with his time for others, a loyal and true friend, colleague, spouse. He will be remembered with many kind thoughts. There will be no formal ceremonies. Any questions may be referred to (www.HarrisFuneralHome.ca), or to Judy Robertson. Professor Emeritus John Booth, retired faculty member from Communicative Sciences and Disorders, died on July 16 at the age of 70. Beloved husband, father, brother and "grandpa", teacher, carver, computer techie and a very good friend to many. He will be sadly missed by his wife Patricia, children Donna and Dan (Karen), brothers Peter (Jamie) and Tony (Martha) and several grandchildren, nieces and a nephew. Private cremation at John's request. Celebration of Life in August. Memorial contributions to Childcan or Animal Rescue Fund (ARF) would be gratefully acknowledged. Professor Emeritus Don Smith, retired faculty of the Schulich School of Medicine and Dentistry, died on July 15 at the age of 85. When he retired in 1993 Don had 21 years of service at Western. By his side every step through 63 years of marriage his loving wife, Kathleen, will forever hold close the memory of the kind, gentle man who gave so much to his family and his career in medicine. 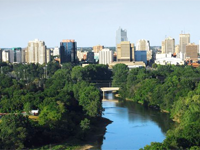 An accomplished internist, Don attended the University of Western Ontario receiving his M.D. degree in 1951. He completed post grad training in Internal Medicine in 1956 at Victoria Hospital and Toronto General Hospital and became a fellow of the Royal College of Physicians and Surgeons in 1956. Following his internship he practiced in St. Thomas for 2 years and then established his own private practice in London. While operating his practice he also served as Associate Medical Director of the London Life Insurance Company. Dr. Smith also became a member of the UWO Medical Faculty and lectured on a part time basis at UWO from 1957 - 1972 at which time he became a full-time member of the Faculty of Medicine and accepted an appointment to join the University Hospital. Dr. Smith became a full professor in 1973 and Professor Emeritus in 2001. He dedicated his time and served on many committees to further patient care: served as the Chair of the Medical Advisory Committee at University Hospital, the Victoria Hospital Medical Teaching Unit, Chairman of the Admission and Discharge Committee at University Hospital; Medical Quality of Care Committee at University Hospital. During his career he also was an examiner in Internal Medicine and Diagnostic Radiology for the Royal College of Physicians and Surgeons from 1972 - 1985 and was the president of the Medical Staff Association at University Hospital. In 1999, Dr. Smith was granted a lifetime membership in the OMA. In his later medical career he dedicated his work to the Select Prostate Committee under Dr. Joseph Chin. Dr. Smith was known far and wide as the "physician of last resort" and received referrals from all over Southwestern Ontario for those most difficult and complex patients. He was always a man of compassion and insight. His concern for his patients, students and fellow physicians exemplified the healing art of medicine. Dr. Smith also thoroughly enjoyed fly fishing and was a long standing member of the Caledon Trout Club where he and Kathleen enjoyed many summer weekends. He also enjoyed football, traveling, reading, curling and chess. Gardening was his year round favourite past time and he took pride in growing and tending his many perennials. Gardening gave him a sense of peace and accomplishment. Don was incredibly proud and devoted to his family. He will be sadly missed by his wife, Kathleen, daughter Jane (Paul Voorheis) and sons Douglas and Bruce. Devoted Papa to Marshall and Paula. Former Schulich School of Medicine and Dentistry faculty member, Tony Parnell died on July 7 at the age of 90. When he retired in 1988 he had 21 years of service at Western. Beloved husband of Kate Parnell. Dear father of Diana, Ian, and Mark. Step-father of Michael and Wayne O'Neil. Dear gramps of Dakota, Luke, Lena, Nicole and Lydia and great-gramps of 4. The family wishes to thank Dr. Keith Thompson, Dr. John Vallely and Wendy Tryst for their exceptional care. Tony was a veteran of World War II as a member of the Royal Air Force and was shot down over France where he remained a POW for 3 years. His interest in dentistry ensured his survival as he helped the camp dentist. He attended the Royal College of Dentistry, London UK and came to Canada in the mid 1960s, where he became the Chief of the Dental Department at St. Joseph's Hospital until his retirement. Above all, Tony will be remembered as a humble and kind man with a sweet tooth. Donations to the Salvation Army would be appreciated by the family. Lynda Milligan, a staff member in Food Services died on July 12 at the age of 48. At the time of her death Lynda had 12 and half years of service at Western. Professor emeritus Bob Wightman retired from the department of Geography in 1997 after 31 years of service. He died on June 21 at the age of 75. Beloved husband of the late Nancy M. (Clement) Wightman. Dear father of Richard A. "Rick" Wightman (Lori) of Fredericton, New Brunswick. Wendy Connell (Gordon) of Parkhill, Ontario. Dear brother of Patricia Drummond of Point Claire, Quebec. Loved by his grandchildren Sarah, Jerry, William, Jake and Dylan. Predeceased by his parents Norman and Marjori (Hoover)Wightman. He will be missed my many nieces, nephews and close friends. As an expression of sympathy, In lieu of flowers, donations to the Gore Bay Union Public Library, 15 Water Street, P.O. Box 225, Gore Bay, ON P0P 1H0 or a charity of your choice. Professor emeritus Collette Urban died June 16 at the age of 61. Urban, a faculty member in the Department of Visual Arts for 11 years, prior to her retirement in 2007, died of bowel cancer at her home on Newfoundland’s west coast. Urban earned her Bachelor of Fine Arts in 1980 from the Nova Scotia College of Art and Design and an Master’s from the University of Victoria two years later. She went on to teach at the University of Victoria, Sir Wilfred Grenfell College and Western. In May of 2012, Urban was elected as a Member of the Royal Canadian Academy of Arts. Born in Denver, Colorado, she spent most of her childhood in Michigan and North Carolina. After earning a BFA from Nova Scotia College of Art and Design, and an MFA from University of Victoria, she began a career teaching art in universities that extended from Western to Eastern Canada, while at the same time producing an impressive body of artwork, mainly in the form of performances and installations. Urban retired from Western to fulfill a dream, the product of which became Full Tilt, a multi-faceted business on the west coast of Newfoundland, which included an organic farm, an artist residency, a small gallery and two circa-1870 Guest Houses. Urban is survived by her mother, Dorothy, of Stratford, Ontario; her father, Wilfrid, of Greensboro, North Carolina; and her sister, Julie, and brother-in-law Roger Lilak, of Petoskey, Michigan. A retrospective exhibition and publication of her life’s work, titled Incognito, will take place at Museum London in October. Professor emeritus Henry Kaluza, died on May 5, 2013 at the age of 82. When he retired in 1987 Henry had 22 years of service as a faculty member with the Faculty of Education. Beloved husband of Joan for 58 years. Loving father of Karen (Rob) Wong of Georgetown, Ontario; Donald (Darcey) Kaluza of Nanaimo, B.C. ; and David (Tika) Kaluza of Cambridge, Ontario. Loved brother of Helen Soderquest (Peter) of Hamilton, and dear brother-in-law of Agnes Couse of Toronto, Freida Groleau of Hamilton, Peggy Kershaw of Toronto, Jack (Jean) Mitchell of Burlington, and Jim (Gayle) of Huntsville. Dear grandfather of Adrian, Brendan, Trevor, Christopher, Amanda, Scott, Heather, Glenn and Nika. Will be missed by many nieces and nephews. Henry taught at Secondary Schools in St. Catharines and, in Hamilton, became Head of Business and Assistant Supervisor of Evening School. In 1965 he joined the Faculty of Education, at Western, as an associate professor in the Department of Business and Computer Studies. He was promoted to full professor in 1975 and retired as Professor Emeritus in 1987. Between 1969 and 1987, he assisted in the preparation of high school teachers of business at Dalhousie, McGill, and the Universities of Manitoba, Regina and British Columbia. He was a Member of the European Federation of Accountants and American Accounting Association taking his travels throughout the world. During his teaching profession, Henry would travel throughout Canada teaching summer school from British Columbia to Nova Scotia. Henry was also a highly-recognized author for accounting, economics text books and journals for McGraw-Hill during the 70's and 80's for which he was awarded the Silver Books Award for Elements of Accounting: A System Approach. In addition to his professional writing Henry wrote and co-wrote personal family books for The Kaluza Martin & Victoria Family Story, John (Jock) Mitchell Family Story, Mervyn Couse (D.F.C.) R.A.F. Tour of Operations, Coro the Nabatu (Doug Gray), Margaret McCallum, McCallum Bailey and Her Family, The Hutton Years Ernest Alexander Hutton Autobiography. In lieu of flowers, those wishing to make a donation in memory of Henry are asked to consider Autism Ontario London Chapter. Dr. Francis Chan of the Schulich School of Medicine and Dentistry died on June 14. Francis had 35 years of service at Western. Please visit Western News for an article highlighting his many contributions to the campus community. Prof. Emeritus Weston Flint, formerly of the Department of Modern Languages and Literature died on April 28, 2013 at the age of 90. Prior to his retirement in 1985, Weston had 20 years of service at Western. He was the husband of Noma Flint, father of Robert (Jacqueline), Lucy, and Christopher (Athena), and grandfather of Emma, Grace, and Gray. Born in Boston, Wes was a star athlete first at Noble & Greenough School in Massachusetts, then as an IC4A hurdler/sprinter and captain of the Harvard track team. From childhood he often sailed on Cape Cod, where he later golfed and played shrewd games of duplicate bridge, mah-jong, tennis, and daily bouts of Spite and Malice. His schooling was interrupted in 1943-46 by service with General Patton's Third Army in France, Germany, and Czechoslovakia. After the war, he represented the First National Bank of Boston in Havana. When it became clear to him that he was not cut out to be a banker, he earned an MA and PhD in Romance Languages from the University of North Carolina and a stint at Dartmouth College. After eight years at Duke University, in 1965 he arrived at Western to head the Department of Romance Languages at Talbot College. He treasured his twenty-year professional relationship with Western, and was happy to return to Canada, where as a child he had spent summers at Camp Wabun on Lake Temagami. A lover of classical music and opera, he played the piano by ear and often burst into spontaneous harmonized song with his wife. Son of a publisher and himself an author of scholarly works, he had a lifelong passion for books, Harvard University, as well as the Boston Red Sox (and, often, the Blue Jays). Those who wish can send condolences to familiaflint@gmail.com and donations in Wes's memory to the McCormick Home, 2022 Kains Road, London, ON N6K 0A8. Robarts Research Institute staff member Anna Pniak died on May 5, 2013 at the age of 59. Anna left this world peacefully at home with her family by her side. She showed incredible strength and tenacity during her three-year battle against a relentless disease. Always stylish, she was an avid gardener and loved being outdoors. She was full of positive energy and had an incredible zest for travel and adventure. Anna is lovingly remembered by her husband Michal, daughter Karolina, son-in-law Dariusz, and sister Alina and family. She will be missed by her extended family and friends, as well as her colleagues at Robarts Institute, where she flourished for 15 years. Visitors will be received at JOHN T. DONOHUE FUNERAL HOME , 362 Waterloo St. on Thursday, May 9th from 6-9 pm. Funeral Mass will be held at Our Lady of Czestochowa, 419 Hill St. on Friday, May 10th at 11 am, following which Anna will be laid to rest at St. Peter's Cemetery. Prayers Thursday at 8:15 p.m. Retired Department of Chemistry faculty member, Patrick Jacobs died on March 31, 2013 at the age of 88. Prior to his retirement in 1989 he had 24 years of service at Western. Dusan Surlan worked at Western, as a staff member in the Microbiology Department, for 16 years prior to his retirement in 1988. He died of February 12, 2013 at the age of 80. Prof. Emeritus Dave Ankney died on Feb. 28, 2013 at the age of 66. When he retired from the Department of Biology in 2004 Dave had 34 years of service at Western. Loving husband of Sandra Johnson with whom he shared 37 years. Survived by his brother Paul of Arizona. Predeceased by his sister Dianna. Dave is a past president of the Ontario Federation of Anglers & Hunters and was the Chair of the Long Point Waterfowl Scientific Advisory Committee. Dave was an avid outdoorsman, loved to hunt and fish, and had a great love for Long Point! Those wishing may consider donations to Long Point Waterfowl or the Long Point Waterfowlers Association. Retired Department of Psychology faculty member Doreen Kimura died on February 27, 2013 at the age of 80. When she retired in 1998 she had 31 years of service at Western. Born Doreen Goebel in Winnipeg, Manitoba in 1933, she lived in Neudorf, Saskatchewan for most of her early years. She won a scholarship to McGill University, where she completed Bachelor's, Master's and Doctoral degrees. She also received honorary Doctor of Laws degrees from Simon Fraser University and Queen's University. She was a Fellow of the Royal Society of Canada and a recipient of the Kistler Prize from the Foundation for the Future, as well as of numerous other awards. She was also founding president of the Society for Academic Freedom and Scholarship (SAFS). Doreen is lovingly remembered by her daughter Charlotte Thistle Archer, her granddaughter Ella Archer, and her sisters Shelagh Derouin and Amber Harvey, and nieces and nephews. Ron Faulds worked for 29 years as a member of the Facilities Management Department prior to his retirement from Western in 1995. He died on March 9, 2013 at the age of 76. Beloved son of Ella Faulds (Elliott) and predeceased by his father Ernest (1992). Loving husband of Molly Cuthbert (Maylor) and predeceased by his first wife Verna-2009 (Johnson). Dearly missed by Molly's children Heather Cuthbert (Derek Puddicombe), Paul Cuthbert (Mary Anne Ledesma) and 4 grandchildren. Dearly loved brother of Bruce Faulds (Diana), Marilyn Stephens (late Ed-2010), and Carol Clay (late Neil-2007). Loved brother-in-law of the Johnson family. Sadly missed by many nieces, nephews, extended family and friends. In memory of Ron, donations may be made to the SMGH Foundation or Robarts Research Centre. Kenneth Baird, a faculty member in the Dentistry Clinic of the Schulich School of Medicine & Dentistry, died on February 27, 2013 at the age of 101. When he retired in 1976 Baird had ten years of service at Western. Predeceased by his wife Ida Fern (nee Trowbridge) in 1985. Kenneth is survived by his children, Linda Grant (Ed Feick) of Waterloo and Flesherton, Tanya Fitzpatrick (Garry) of Montreal and Boston, and David Baird (Betty Ann) of Victoria and Delhi. Lovingly remembered by his grandchildren, Christopher Baird (Elaine), Stephen Baird (Melanie), Jennifer Fitzpatrick (Jacques), Andrea Fitzpatrick, Jamie Fitzpatrick (Jenifer), Marcia Fitzpatrick (Rick), Alison Phillips (Andrew) and Trevor Grant, as well as 14 great-grandchildren. Kenneth is also survived by his brother, Norman Baird (Margaret) of Ottawa and sister, Helen Couchand (Emile) of Bradenton, Florida. Predeceased by his parents, David and Mary (Lewis) Baird and eight brothers and sisters. Kenneth was a dentist, serving as Director General with the Royal Canadian Dental Corps, with the Canadian Armed Forces from 1939 – 1967. He served overseas during World War II from 1941 – 1945. He was also the Queen's Honorary Dental Surgeon during that time. After retiring, he went on to become the Director of Clinics at Western University in London from 1968 – 1976. Following this, he continued to work at the university well into his 80s. He was also a volunteer with the London Family and Children's Services for many years. Ken kept himself very active over the years. He enjoyed many hobbies such as wine making, gardening, golf, curling as well as making furniture and creating models of tall ships. He was an accomplished artist. He enjoyed spending time with his family and took great joy in his grandchildren and great- grandchildren. Condolences for the family and memorial donations to the Grand River Hospital Foundation may be arranged by contacting the funeral home at www.erbgood.com or 519-745-8445. Prof. Emeritus George Wearring, died on March 3, 2013 at the age of 84. Geroge retired from the Faculty of Health Sciences in 1990 after 28 years of service. Beloved husband of Marilyn (Krueger) Wearring and loving father of Matthew (Kate), Colin (Diane), Andrew (Denise) and Joel (Elaine). Special grandpa to Bronwyn, Bevan and Scott. After a successful school career, including football and basketball, at both Central Secondary School and The University of Western Ontario, George was a member of the 1952 Canadian Olympic Basketball Team. George enriched many lives through his teaching and coaching at Leaside High School in Toronto and the University of Saskatchewan in Saskatoon, completing the last 27 years of his career as a professor of health at the University of Western Ontario. A gentle giant, George was a regular volunteer at Parkwood Palliative Care and The Sisters of St. Joseph's Hospitality Centre. He will be missed by family and friends. Friends will be received at JAMES A. HARRIS FUNERAL HOME , 220 St. James St. at Richmond London, on Wednesday, March 6 from 2 to 4 pm and 7 to 9 pm. A memorial service will be conducted at New St. James Presbyterian Church, London on Thursday, March 7 at 11 am. In memoriam donations can be made to New St. James Presbyterian Church or The Sisters of St. Joseph's Hospitality Centre, London. Prof. Emeritus, Morris Zaslow of the Faculty of Social Science, Department of History died on January 17, 2013 at the age of 95. When he retired in 1984 Morris had 19 years of service at Western. Loving father of Jonathan and his wife Nicolette (Kramer), and loving Zeyda of Zoe (Pat Mlcoch) and Joshua (Joanna Paddock). Pre-deceased by his beloved wife, Betty Winnifred Zaslow (Stone), his parents, Isaac and Bessie Zaslow, and sister Becky Hardin of Calgary, Alberta. After serving with the R.C.A.F. he received his B.A. and B.Ed. from the University of Alberta, his M.A. and Ph.D. in History from the University of Toronto. A pioneer in the study of the history of the Canadian North, his historical focus was shaped by his childhood experiences on the Prairies during the late 1920s and early 1930s. He was the author of The Opening of the Canadian North, 1870-1914, Reading the Rocks: The Story of the Geological Survey of Canada, 1942-1972, and The Northward Expansion of Canada, 1914-1967 and was editor of several more volumes. He served as editor of Ontario History and the General Series of the Champlain Society. His contributions to the study of Canadian history and his distinguished career made him a world-class scholar. He was a gentle, kind, generous, wonderful man, who will be dearly missed and forever remembered. Prof. Emeritus, John Bancroft of the Department of Biology, served at Western for 22 years prior to his retirement in 1995. He died on January 22, 2013 at the age of 84. He won a fellowship to the University of Wisconsin, graduating with a Ph.D. in 1955 before joining the faculty of Purdue University. He married Mary Ross in 1954. John and Mary moved from Madison, Wisconsin to Lafayette, Indiana in 1955 where they lived for 16 years and had 4 children, Leslie, Ian, Graham and Jane. While at Purdue, John received a National Science Foundation senior postdoctoral fellowship to work at the Virus Research Laboratory in Cambridge, England. It was an enjoyable year for the family and professionally rewarding for John, culminating in the first reconstruction of a spherical virus. During this time, John received various awards including the Ruth Allen Award and McCoy Award. In 1970, Dr. Bancroft was asked to establish a Virus Research Department at the John Innes Institute, which had recently moved to Norwich, Norfolk. Three years after the department was established, John and Mary decided to return to North America to launch their family and John, first as a professor then as the Dean of Science finished his professional career at the University of Western Ontario. John received an honorary doctorate from Purdue as well as becoming a Fellow of the Royal Society of Canada. He published and edited widely. On retirement his friends and colleagues from the University created the J.B. Bancroft Science Prize and Medal. John and Mary were always actively engaged with their children and grandchildren (Sarah, Daniel, Christine, Mark and Kate), along with their daughters-in-law Melanie and Mimi. John will be also missed by sisters-in-law Aileen Walker, Sheila Ross; brother-in-law Robert Ross, and nephew Ted Bancroft - all from Vancouver. A Remembrances may be made to Alzheimer Outreach Services of McCormick Home Foundation or Parkwood Hospital, care of St. Joseph's Health Care Foundation. Prof. Emeritus, John Kaufmann of the Department of Pathology - Schulich School of Medicine and Dentistry died on Feb. 2, 2012 at the age of 88. He had 17 years of service at Western when he retired in 1989. John was much admired and deeply loved by his children Michele, Carol, and Pierre, his grandchildren Claudia, Martin, Thandi, Jenna, Kaila, and Justine, his five great grandchildren, his sister Marguerite, and niece and nephews Jean, Julienne, and Marcus. Predeceased in 2010 by his beloved wife Suzanne, John will be deeply missed by all who shared his humour, self-discipline, inquiring mind, and attentiveness. John was born in Umtata, South Africa in 1924 and graduated from the University of Cape Town where he studied medicine and specialized in Neuropathology. John immigrated to Canada in the early 1970's when he joined the neuroscience medical team at the Western. John's celebration of life ceremony will take place in early March; details to follow. Memorial contributions to the London Health Sciences Foundation (University Hospital) would be gratefully appreciated. Prof. 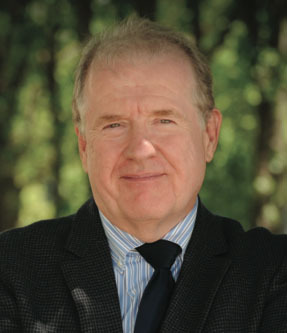 Emeritus, Paul Bishop formerly of the Richard Ivey School of Business died on Jan. 25, 2013 at the age of 75. Paul retired as faculty member in 2008 after 44 years of service at Western. Funeral services have been set for Dr. James Roth, chair/chief, Division of Orthopaedic Surgery, Schulich Medicine & Dentistry, who died Friday, Feb. 1. Visitation will be held 2-4 p.m. and 6-9 p.m. Tuesday, Feb. 5 at Westview Funeral Chapel, 709 Wonderland Road North, London. A private family interment will be held Wednesday, Feb. 6 at Mount Pleasant Cemetery. A celebration of life will be held at 6 p.m. Wednesday, Feb. 6 in Alumni Hall at Western. Arrival and greeting will begin at 5:15 p.m.
Roth is survived by his wife, Barb; four daughters, Jodie (Yves), Sandie (Jon), Kristie (John) and Kelly (Mike); granddaughters, Kloe and Reese; and his mother, Jean. Roth, MD’75, completed medical school and residency training in orthopaedic surgery at Western. During his orthopaedic surgery residency, he spent one year as Dr. J.C. Kennedy’s research resident. He completed his post-residency fellowship in Hand and Microsurgery at Duke University Medical School prior to starting practice at Victoria Hospital in London, Ont., on Jan. 1, 1982. He quickly rose to the rank of professor in 1989. He co-founded the Hand and Upper Limb Centre (HULC) with Dr. Robert McFarlane at St. Joseph’s Health Care London in 1992 and served as its medical director since its inception. This centre has grown to be the largest of its kind in Canada and has an international reputation for its research and teaching excellence. Under Roth’s leadership, HULC scientists developed several new techniques for computer-assisted surgery and surgical innovation; leading to advances in surgical mechatronics, joint design, wound-healing and limb re-implantation in its world-class bioengineering lab. Numerous residents and fellows from across the globe were fortunate to learn from Roth’s clinical and academic expertise that inspired a generation of surgeons, scientists and leaders. While maintaining a full surgical practice, Roth was also an outstanding researcher who authored more than 150 scientific publications or book chapters during his career. In 2011, Roth spearheaded a group of 25 orthopaedic surgeons to commit $1.5 million to create the Dr. J.C. Kennedy Chair in Orthopaedic Surgery, dedicated in honour of Kennedy, Western’s first professor and chair of orthopaedic surgery. As a former member of the Western rugby and football teams, Roth was passionate about Western. His commitment to university made an impact in many areas and programs thanks to his tireless fundraising efforts. Memorials and donations may be made in Roth’s name to the J.C. Kennedy Chair in Orthopaedic Surgery, Western Mustangs football team or the Hand and Upper Limb Centre. Professor Emeritus, Alan Groom died on January 9, 2013 at the age of 86. Alan retired in 1991 as Chair of the Department of Medical Biophysics, after 25 years of service at Western. Beloved husband of the late Elizabeth Kathleen Groom, nee Irwin (Dec. 16, 2012). Loving father of Jennifer Ramsey (Alan) of Regina, Hilary Dearing (Andrew) of London, Peter Groom (Stephen McClatchie) of London, and Richard Groom (Patti) of Cambridge. Visitation on Friday, January 18 from 7-9 pm at the JAMES A. HARRIS FUNERAL HOME, 220 St. James St. at Richmond. A memorial service will be conducted at New St. James Presbyterian Church, 280 Oxford St. at Wellington, on Saturday, January 19 at 1:30 pm. Reception to follow at the church. In lieu of flowers, donations can be made to the Dr. Alan C. Groom Memorial Fund at Western, or to World Vision Canada. To contribute to the Alan C. Groom Memorial Fund at Western, please contact Donna Swanson at Foundation Western 519-661-3140 or donate online at www.givingtowestern.uwo.ca. Cheques can also be mailed to Foundation Western, Western University, Suite 110 Westminster Hall, London, ON N6A 3K7. Ruth Snider retired from the Campus Bookstore in 1984 after 17 years of service. Ruth died on December 22, 2012 at the age of 91. Loved mother of Glenn Snider of Zurich, Paul and Ellen Snider of Ingersoll and Valerie Flood of Stratford. If desired memorial donations to Greenwood Court, Heart and Stroke Foundation or charity of choice would be appreciated. Condolences at www.hoffmanfuneralhome.com. Retired Economics professor Ed Saraydar died on December 4, 2012 at the age of 88. When he retired from Western in 1991 Ed had 24 years of service in the Economics Department, which he often characterized as being like family to him. His career included serving in the Air Corps of the United States Army, and with the Merchant Marine during the Korean War. He was a communications specialist, or “sparks“ when at sea, being an expert in Morse Code. Under the GI Bill he attended the University of California at Berkeley where he fell in love with and married his French language instructor, Alma. He received his undergraduate degree from Syracuse University, and his PhD from the University of Rochester. Ed and Alma came to London in 1967 and had faculty positions at the University until their retirement. Alma died in 1998. Ed was noted for his lively conversation, easy laughter, and loyal support of others. A celebration of life service will be held on February 2, 2013 at 2:00 p.m. in the library of the Sir Adam Beck Condos located at 240 Sydenham St. London, ON. Melvin Woods work in the Department of Facilities Management, previously Physical Plant Department, for 21 years prior to his retirement in 1987. Melvin died on December 4, 2012 at the age of 86. His funeral will be held at St. Michaels Church, 511 Cheapside St. London, ON on Saturday, December 8, 2012 at 12:00 noon. The flag will be lowered on December 8 until 12 noon in honour of Mr. Woods. Prior to his retirement as a staff member in Geology in 1987, Laszio Gyorok had 15 years of service at Western. Laszio died on November 18, 2012 at the age of 90. Dear husband of the late Lilly Gyorok. Laszlo will be fondly remembered by his family and friends in Canada, United States and Hungary. Brenda MacEachern, Academic Librarian with the Department of Visual Arts died on Oct. 11, 2012. At the time of her passing Brenda had provided 42 years of service at Western. Beloved wife of Ian MacEachern. Loving mother of Heather (Eric Tarasick), London, and Sarah (Ray Nichols), California. Doting grandmother of Iris Ruth Tarasick. Sister of Judy Ambrose (Messer) and aunt of John Ambrose and Katherine Stasyna of Toronto. Brenda graduated from the University of Toronto in 1970 with a Bachelors of Arts and went on to complete her Masters in Library Science at UWO (1987). In more than four decades as the curator of the Visual Resources Library in the Visual Arts Department at the University of Western Ontario, Brenda received recognition for her work within the department and with the staff association. In 2007 she was the recipient of the Western Award of Excellence. She was also acknowledged internationally as a leader in her field through the Visual Resources Association. Brenda was a family historian, a photographer, a flea market enthusiast, and a teapot collector. With her husband Ian, she enjoyed cycling trips in the UK and car trips across North America. Summers in Port Elgin and Southampton with her family were also a special part of her life. One of her proudest achievements was the publication of her book “Nicholas Vivian Kent - An Ontario Family Saga“ in 2004. A lifelong supporter of the arts, Brenda was a mentor to many students and she always encouraged them to follow their dreams. She will be fondly remembered as an incredibly loving person who was forever putting others first. Her gentle spirit and thoughtful advice will be greatly missed by her family, friends and colleagues. The family asks that donations in Brenda's memory be made to Operation Eyesight. A memorial service will be held at Museum London on Thursday, November 29th from 5 - 9:00 p.m.
Jacobus deLange retired from Facilities Management in 1985 after 18 years of service at Western. He died on November 7, 2012 at the age of 92. He is survived by his daughter Irene Flory (Joseph Boudreau), sister Will Sackers and sisters-in-law Grada deLange and Elfia Hooftman. Grandchildren Angeleen Hart, Michelle Makra (Carlos) and William Makra (Julie). Great grandchildren Christian, Jacob and Payton Hart; Desmond and Calvin Makra Avalos. Many nieces and nephews in The Netherlands, Canada and Chile. Jacob will be dearly missed by all who loved him, especially his daughter Irene. In lieu of flowers, donations in Jacob's memory may be made to Vision Nursing Home (229 Wellington, Sarnia ON). Prof. Emeritus and former Chair of Chemistry, Jake Stothers died on October 12, 2012 at the age of 81. Prior to his retirement in 1996 he had 37 years of service at Western. He and his wife Catherine Ruth, 'Cae' (Smith) were in their 60th year of marriage at the time of his death. He was renowned for his research, writing, editing, and leadership in chemistry, and was honoured with Fellowships of both the Royal Society of Canada and the Chemical Institute of Canada. Jake will be missed by his daughters his daughters Marta and Margot and grandchildren Stephen and Elora, by his nephew Andrew Carruthers (and the horses), by his dear cousin Mary Bere, and many others in the extended Stothers and Smith families. Thank you to Cae's brother and Jake's lifelong friend Dave Smith for his love and support, and to Jerry Hodgins for his loyalty. Family, friends, and colleagues will miss Jake's wit, his intolerance of hypocrisy, and his love of jazz and a drink with friends. At his own request, there will be no funeral. Cremation has taken place. Expressions of sympathy, and donations to the charity of your choice in Jake's memory. Lisa Zeitz an Associate Professor in the Department of English died on October 6, 2012 at the age of 56. She had 23 years of service at Western. Beloved wife of Peter Thoms. Cherished daughter of Pamela and the late Walter Zeitz. Dear sister of Allyson (David), Jennifer, and Rosemary (Glenn). Devoted Aunt to Gigi, Natasha, Daisy, Dawson, Kyla, and Aaron. Dear daughter-in-law of the late Gordon and Maxine Thoms, and dear sister- in-law of Rosemary (Nancy), David (Diane), and Michael. Growing up on a farm in Carp, Ontario, Lisa discovered the love of nature that abided throughout her life and underpinned her research in Restoration and Eighteenth-Century Literature at the University of Virginia (M.A. ), Queen's University (Ph.D.), and Western University, where she was an Associate Professor of English. Lisa was a gifted teacher, a curious traveller, an inveterate walker, and a student of art, literature, music, and baseball whose passionate engagement with life was not dimmed by the onset of ovarian cancer. A warm, generous, and courageous spirit, she will be sorely missed by her family and many friends. During the final years of her life, Lisa and Peter were bolstered by the incredible support offered by family and friends. Those wishing to make a donation in memory of Lisa might consider The Bounce Award. This award, which was established by Lisa in 2008 and named after Alexander Pope's dog Bounce, supports undergraduate students studying Restoration and Eighteenth-Century British Literature at Western University. To contribute to the award please contact Donna Swanson at Foundation Western at 519-661-3140 or fw@uwo.ca. At Lisa's request, there will be no funeral service. Joan Macrow retired staff member from Kinesiology died on June 29, 2012 at the age of 71. When she retired in 2005 she had 26 years of service at Western. Beloved Mother of David (Anne Marie), Susan (Rick), Jeffrey (Rebecca) and predeceased by son Darrell. Loved Grandma to Eric, Jason, Trevor, Courtney and Great Grandma to Ryan. Those wishing to make a donation in memory of Joan are asked to consider the Canadian Cancer Society. Prof. Emeritus Geoffrey Milburn retired faculty member from Education died on August 28, 2012 at the age of 80. Prior to his retirement in 1996 he had 31 years of service at Western. Beloved husband of the late Joan Milburn. Son of the late Charles Milburn and Jessie Carr of Rothbury, England. Brother of the late Charlie Milburn. Much loved father of Karen and Ann (Rob). Dearly missed grandfather of Fiona, Eric, Katie, Alison and Peter. Many thanks to his wonderful friends and colleagues. Cremation has taken place. A gathering of friends will be held at WESTVIEW FUNERAL CHAPEL, 709 Wonderland Road North, London, on Saturday, September 8, 2012 from 2:00 - 4:00 p.m. Those wishing to make a donation in memory of Geoffrey are asked to consider the Canadian Cancer Society. Former Facilities Management staff member Bob Ostrom died on Aug. 23, 2012 at the age of 85. When he retired in 1993 Bob had 20 years of service at Western. He is survived by his wife Shirley; sons Brad (Becky), Dave (Janet) and Brian (Jacqui) and daughter Pam (Rick). Also by his grandkids, Sean, Andrew, Trevor, Amanda, Kalyn, Laurel, Erin and Allison and great-grandsons Wyatt and Landon. Visitation will be held at WESTVIEW FUNERAL CHAPEL, 709 Wonderland Road North, London, on Saturday from 2:00-4:30 p.m. where the memorial service will be held at 4:30 p.m. Those wishing to make a donation in memory of Bob are asked to consider Men's Mission. Professor Emeritus, Douglas Westgate died on Sunday, July 22, 2012 at the age of 74. Prior to his retirement in 1994 Douglas had 27 years of service in the Faculty of Education. He is survived by his wife Kathryn, his sister Shirley (Peter) Campbell, his children Kim (Craig), Rick (Stacey), Johnny (Missy) and Angie, and his grandchildren Brendan, Caeli, Dylan, Connor, Hayden, Ramsay, Michael, Laura and Carter. In lieu of flowers, donations may be made to charities of your choice or to the Diocese of Huron (Huron Church Camp) or St. Michael & All Angels Anglican Church. Megan Davey, associate professor in the Schulich School of Medicine & Dentistry, passed away suddenly on Aug. 10. Davey came to Western in 2004, establishing a research program focused on elucidation of mechanisms that control DNA replication. Her success never went unnoticed as she was the recipient of a number of awards from national funding agencies and was named the Harold Johns Research Scientist Award for being the top ranked candidate in the National Cancer Institute of Canada competition. Davey was also the coordinator for the Maud L. Menten Memorial Lecture Series that has attracted international leaders to the London community. “We have lost a greatly valued colleague, friend and mentor. At this time, our thoughts are with Megan's family and friends,” said David Litchfield, Professor & Chair of the Department of Biochemistry. For 10 years John Tamblyn served the Western community as official photographer for the Ceremonies Office. He died on August 7, 2012 at the age of 64. Beloved husband of Mary Sue Brennan and dear father of Emma and Zoe. Greatly missed by brother David (Susan), sister Louise, brother James (Kiri), and sister-in-law Marjy Marulanda (Carlos). Predeceased by brother-in-law Tim Brennan (Yoko). Also mourned by nieces and nephews Bob, Diana (David), Jennifer, Keenan, Andrea, Alex, Mariko, Joji, Lisa and grand niece Rosie. Donations in lieu of flowers may be made to the Heart and Stroke Foundation, Middlesex-Elgin Chapter, 150-633 Colborne Street, London, ON N6B 2V3. Online donations and tributes may be placed through www.HarrisFuneralHome.ca. Prior to his retirement in 2002 Fred Kilgour had 16 years of service in Western's Housing department. He died on July, 14, 2012 at the age of 74. Survived by children Bonny Kilgour (Ken Roy) of London, Keith Kilgour (Sandra) of Ottawa, Penny Wilson (Richard) of London; grandchildren Carrie, Jessica, Jaime, Marisa, Carter; sister Pat Jones (Alan). Predeceased by parents Jack and Toots Kilgour and wife Annie Kilgour. In lieu of flowers, donations may be made to the Heart and Stroke Foundation or the Cancer Society. Andrew Biemans retired as a staff member from Kinesiology in 1993. Prior to his retirement Andrew had 30 years of service at Western. He died at the age of 81 on July 28, 2012. A funeral service will be held on Thursday, Aug. 2, 2012 at 11:00 a.m. at Forest Lawn Memorial Garden, 2001 Dundas St. E., London, ON. The flag on Middlesex Tower be lowered on Thursday, August 2, 2012 until 11a.m. in memory of Andrew. Retired Hospitality Services staff member Moe Collin died on June 17, 2012 at the age of 74. When he retired in 1998 Moe had 18 years of service at Western. Loving father of Randy Collin (Gloria), Wayne Collin (Sophie), Nancy Collin, Judy Leslie (Larry), Jennifer Collin (Keith) and Joshua Collin (predeceased). Dear brother of Irene Francis, Evelynn McColeman (Gus), Jocelyn Rathwell, Jacques Rathwell, Evette Stanton and Lil Deschene. Proud Papa of 17 grandchildren and 3 great grandchildren. Facilities Management staff member, Pawel Kukawka died on July 15, 2012 at the age of 43. Prior to his death he worked at Western for 12 years. Beloved husband of Wieslawa Kukawka and loving father of Jacob and Agata. Dear son of Maria and the late Henryk Kukawka (2009) of London. Also loved by his sister Grazyna Rodak and his brother Piotr Kukawka. Western Bookstore staff member Carol Di Pietro died on July 9, 2012 at the age of 58. Carol had 19 years of service at the time of her death. Beloved wife of Tony Di Pietro. Cherished mother of Colleen Di Pietro. Loving sister of Lynn (Chris) Anstead and Peter (Gail) McMahon. Much loved aunt of Kristin, Alexis, Nicole, Becky, Sarah, Ben, Connor and Colin. Donations in memory of Carol may be made to AnimalAlert. On June 27, 2012 Antonia Kobal, retired Facilities Management staff, died at the age of 90. Prior to her retirement in 1986 Antonia had 15 years of service at Western. Beloved mother of Steph (Al) Janisse, John (Mary) Kobal, Angie (Josh) Lesmeister and Margi (Victor) Cherneski. In lieu of flowers donations to Glendale Crossing Nursing Home would be appreciated. Professor Emeritus Ben Singer died on July 8, 2012 at the age of 81. For 30 years he was a faculty member in Sociology. He retired from Western in 1996. He is survived by his wife, the former Eleanore Gartner; daughters Lisa Purchard and her husband Paul; Heidi Singer and her husband Timothy Maguire; and grandchildren Jane and Simon. “Ben was an original,“ said Eleanore, his wife of almost 60 years. “He was passionately committed to life. He saw it clearly through a skewed lens and skewered it with relish. (He hated relish.) His 'Benisms' flowed and became mini-legends. He loved and was loved deeply.“ A celebration of Ben's life will be held at his home, 5 Lindbrook Court, July 11, 2012. Friends are welcome to drop in from 1 p.m. to 4 p.m. In lieu of flowers, please bring your best Ben memories! When he retired in 1991 Alfred Bets had provided 29 years of service to the Western community as a member of Facilities Management. He died on April 17, 2012 at the age of 85. Former Student Awards staff member Patricia Johnston died on May 27, 2012 at the age of 89. Patricia retired from Western in 1998 after 25 years of service. Beloved wife of the late Gordon F. Johnston (1983). Loving mother of Mairead P. Johnston-Spooner and Lucinda S. Johnston. Fond mother-in-law of Barry Johnston- Spooner. Devoted sister of Stanley Rogers. As an expression of sympathy, donations to the Alzheimer Society of London and Middlesex, 435 Windemere Road. London, ON N5X 2T1 would be appreciated. Aileen Densham retired from the Department of Anatomy in 1995 after 26 years of service as a staff member at Western. She died on May 2, 2012 at the age of 82. Beloved wife of Jack Densham. Dear mother of Michelle Gellatly (Jody Armstrong) of Stoney Point, Jon Densham and his wife Sheila and Mark Densham and his wife Debbie of London. Predeceased by her daughter Melanie Dee Densham. As an expression of sympathy memorial donations may be made to the Alzheimer Society of London and Middlesex, 435 Windermere Road, London, ON N5X or to the charity of your choice. On June 12, 2012 former Facilities Management staff Ennio Lalama died at the age of 71. When he retired in 2006 Ennio had 36 years of service at Western. Ennio will be missed by his wife Annaof 48 years Anna who loved him with the intensity of a thousand suns for 48 years. He will be greatly missed forever by his children, Rocco (Sherry), Sandra, and Rita (Fred). The ever so funny “Pop“ to Mikael, Brittany, Alex, Benjamin, Jake, Marissa and Kamron. As an expression of sympathy, memorial donations to The Terry Fox Foundation would be greatly appreciated. David Boyd was a faculty member in the Department of Medicine for 33 years prior to his retirement in October 2011. He died on April 16, 2012 at the age of 63. Howard Colhoun joined Western's Schulich School of Medicine in 1965 where he retired in 2002. He received his Professor Emeritus status in Pharmacology at the age of 65. He always had a curiosity of how things worked and therefore he became a career research scientist in the Cholinergic Nervous System. He died on June 20, 2012 at the age of 90. Professor Emeritus Ron Wirick died on June 10, 2012 at the age of 67. Ron was a professor at the Richard Ivey School of Business for 30 years prior to his retirement in June 2010. Devoted husband of 22 years to his beloved wife, Gerda Wirick. He will be missed dearly by his four daughters Lara Bernstein (Lawrence), Emily Wetherell (Michael), Heather Gunn (Andrew), and Esther Farr (Brandon) and step-children Andrea Schmidt (Greg Karam), Matthew Schmidt (Sarah), and Jonathan Schmidt (Seanna). Proud Opa to his grandchildren Jacob, Benjamin, Abby, Clara, Anna, Esther, Esme, Charlie, Velvet, Eric, and Sarah. Elder brother to Maxine Grimmer, Barbara Poore, and Jamie Schaeffer, and much admired by his many nieces and nephews. Visitation will be held on Friday from 7:00-9:00 p.m. at the WESTVIEW FUNERAL CHAPEL, 709 Wonderland Road North, London, where the memorial service will be conducted on Saturday, June 16th at 1:00 p.m. Interment will be held at Oakland Cemetery, 390 Oxford Street West, London, on Saturday, June 16th at 11:00 a.m. Please consider donations to the Michael J. Fox Foundation in lieu of flowers. Online condolences available at www.westviewfuneralchapel.com. Art Tait was a member of the Dental Clinics team until his retirement in 1985. He had 17 years of service at Western. Art died on March 15, 2012 at the age of 91. Loving husband for 52 years of Betty and father of David (Shiela), Glenn (Elaine), Gordon (Karen) and Donald (Vada). Cherished grandfather of Gordon (Bev), Christopher (Tammy), Brenda (Rob), Heather, Tanya (Steve), Megan and Tara. Proud great-grandfather of Kayla, Shayne, Caitlin, Hayden, Jonathan, Caelum, Nikolai, Katie, Abeigail, James and Troy. Predeceased by brothers Bill (Kay), Doug (Helen), sister Ann (Fred) and great- grandson Michael. Sonja Behrens was a staff member for 26 years in Music prior to her retirement in 2003. She died on Feb. 24, 2012 at the age of 73. A private family service was held in Lancaster, PA.
Food Service employee Bob Schnare died on June 3, 2012 at the age of 66. He had 17 years of service at Western. Loving husband of Susan for 43 years; and father of Stephanie & her husband Tony Mangialardi and Geoff Schnare & his wife Robyn. Cherished grandfather of Jacob, Brady, Nicholas & Caleigh. At Bob's request there will be no funeral home visitation or service. Donations to the Heart & Stroke Foundation or the Canadian Cancer Society would be appreciated by the family. Online condolences can be expressed at www.loganfh.ca . LOGAN FUNERAL HOME, 371 Dundas Street, (519) 433-6181, entrusted with arrangements. A tree will be planted, by the Logan Funeral Home, as a living memorial to Bob. Walt Czekierda was employee of Facilities Management for 14 years prior to his death on June 3, 2012 at the age of 57. He will be sadly missed by his sister Alicja of Woodstock as well as his brother Stan and sister-in-law Angie of Brampton. Walt was a loving brother and the proud uncle of Jessica and Jason. Family was very important to him. Walt will forever be in the heart of his soul mate, life partner and best friend, Gerrie Evans. Jack Willows retired from Western's Facilities Management area in 1990 after 26 years of service. He died on May 2, 2012 at the age of 84. Survived by wife Irene Willows; brother Dan and wife Marg Willows; son Randy and wife Barbara Anne; grandchildren Shawn and Jannette. Predeceased by son John. Those wishing to make a donation in memory of Jack are asked to consider the Parkinson Society Canada. Former Housing staff member Margaret Vauthier died on April 7, 2012 in her 91st year. Prior to her retirement in 1986 she had 19 years of service at Western. Treasured mother of Sheila Haas, Tim and his wife Deb, and Janice and her husband Seppo. Cherished Noni to her grandchildren Matt (Jen), Jim (Melissa), Kate (Jay), Sue (Alex), Nick, Aliisa, Mark, Laura and Kristen. Great grandmother of Ethan, Greta and Sebastian. Predeceased by husband, Grellan, son, Daniel, daughter, Loretta, parents, Frank and Nell Long and brother, George. In lieu of flowers donations in memory of Margaret may be made to the Alzheimer Society of Ontario. Joan Marie Tangen was a staff member in the Faculty of Engineering for 18 years prior to her retirement in 2006. She died on April 21, 2012 at the age of 65. Dear sister of Janet Scott (Jim). Aunt of Kellie (Scott) Rutkauskas and grand nephews Ewan and Aidan. Also survived by mother-in-law Jean Tangen. Predeceased by husband Peter Tangen and brothers Arnold Reid and Garnet Reid. Those wishing to make a donation are asked to consider the Arthritis Society. Former Education staff member Don Galpin died on March 2 at the age of 87. Don retired from Western in 1985 after 17 years of service. Loving husband of Phyllis for 55 years. Dear father of Scott (Nancy), Leslie Billingsley (Jeff) and Jeff Galpin. Proud Grandpa of Brian (Sarah), Allison, Mark, Katie and Bryce, and great Grandad of Carter and Cadence. Fondly remembered by his sister Lois Percy, his extended family and many friends. Don lead a full and active life and enjoyed curling, golf, music and travel. Those wishing to make a donation in memory of Don are asked to consider the Heart and Stroke Foundation or Alzheimer Outreach Services - McCormick Home. Giovanni Paolo a retired staff member from Facilities Management died on April 21 at the age of 78. When he retired in 1998 he had worked at Western for 37 years. Beloved husband of Maria for more than 51 years. Devoted and deeply proud father to his children Angela, Felicia, Anna, Maria Ferraro and her husband Jim, Joanne Netterfield and her husband Steve and Tony and his wife Jessica. Visitors will be received at the JOHN T. DONOHUE FUNERAL HOME, 362 Waterloo Street at King Street on April 24 from 7:00 - 9:00 p.m. A Funeral Mass will be celebrated at St. Michael's Church, 511 Cheapside Street on Wednesday morning April 25, 2012 at 10:00 a.m. Prayers Tuesday evening at 8:30 p.m.
Sebastian Bos retired from Facilities Management in 1990 after 24 years of service. He died at the age of 82 on March 30, 2012. Beloved husband for 34 years of Maria (Ria) Bos. Loving father of Bill (Suzanne) Bos, Anita Burgess, Rudy Bos and Erich (Mimi) Collar. Dear grandfather of Thera and Adam; Jennifer (Ryan), Jeremy and Jessica; Erich. Funeral arrangements have now been announced for Dr. Dana Winterburn, an associate professor in the Department of Family Medicine, who was tragically killed in a car accident on Tuesday, April 10th. A celebratory memorial will be held Sunday at 3:00 p.m. at the Westview Funeral Chapel, 709 Wonderland Road North, in London. In lieu of flowers, her family has asked that donations be made to the Dr. Dana S. Winterburn Memorial Scholarship Fund at Western or the Breast Cancer Society. Dr. Winterburn was a beloved doctor at the Byron Family Medical Centre. She graduated with her MD from the University of Alberta in 1994, and received her Certification in Family Medicine in 1996, after completing her residency at The University of Western Ontario. She was granted fellowship in the College of Family Physicians of Canada in 2007. Dr. Winterburn had been with the Department of Family Medicine at Western since 2004. Prior to joining the Department, she served as a family physician at the Middlesex London Health Unit, at the North Lambton Community Health Centre serving the Kettle Point First Nation, at the London Psychiatric Hospital, and at Student Health Services at Western. Prof. Emeritus Fred Dreyer retired from the History Department in 1998 after 34 years of service. He died on January 20, 2012 at the age of 80. Loving husband of the late Elizabeth Dreyer (2008). Dear father of Anne Dreyer and her husband Michael Weatherill of Horsham, England and Ted Dreyer and his wife Johanna of Waterloo. Beloved grandfather of Amelia, Evan and Maeve. Retired staff member Marilyn Noddle died on January 18, 2012 at the age of 73. Prior to her retirement in 1998 Marilyn had 24 years of service in the Occupational Health & Safety Res Centre. Dear mother of Kim Pityn and her husband Peter, Ken Noddle and his wife Heather all of London. Dear sister of Mel Gilbert and his wife Mary of Windsor. Loved Grandma of Elliot, Sam, Amy, Walker and Elaine. Dear friend of Don McKay. Tony Artuso retired from Facilities Management in 1993 after 12 years of service. He died on February 18, 2012 at the age of 84. He is survived by his wife Anna. Devoted and much loved father of Art (Sue Noél-Artuso), Patti and Giovanna (Paul Bates). Dearest grandfather and Nonno of Mathew, Jaclyn and Sienna. Former staff member Barry Forbes died on February 25, 2012 at the age of 88. Prior to his retirement in 1981, from the Department of Cancer Research, Forbes had 18 years of service. He is survived by his wife Isla and their three children, Dennis (Gail), Sally Hull (Jim) and Dana (Dianne), six grandchildren and nine great grandchildren. Professor Robert Lee retired from Western Libraries in 1989 after 13 years of service. He died on February 2, 2012 at the age of 88. Beloved husband of Iris (Winstanley) Lee. Proud father of Dr. Hari S.S. Khalsa of Oakland, California. As an expression of sympathy, donations to the Heart and Stroke Foundation, 150 - 633 Colborne Street, London, ON N6B 2V3 would be appreciated. Sheng Yu a full professor at the Department of Computer Science, died on January 23, 2012 at the age of 61. Sheng had 22 years of service at Western. He obtained both his Masters and PhD degrees in Computer Science from the University of Waterloo, in 1983 and 1986, respectively. His main research areas were in automata and formal language theory and their implementations. He also worked in parallel and object-oriented programming languages. He has served as program committee chair and member for a number of conferences, as well as editorial board member for several other journals. He has published more than a hundred and thirty research articles and was an established researcher in his research areas. Beloved husband of Lizhen Zhang, dear son of Runqing Liu and the late Youlong Yu, loving brother of He Yu, Zhe Yu, Rui Yu, Lei Yu and the late Li Yu. Elsie Brown died on January 20, 2012 at the age of 87. She worked for 28 years in Western Libraries before her retirement in 1989. Beloved wife of the late Arthur Brown (2005). Dear mother of Lindsey Howlett and her husband Reverend David Howlett of St. Thomas, and Alex Brown and his wife Denise of London. Dear sister of Kathleen and her husband Ronald Lingard of London. Loving grandmother of Michelle, Jennifer, Laurie, Misty and Alexander and her 8 great-grandchildren. Also survived by family and friends in Scotland. As an expression of sympathy, donations to the London Regional Cancer Centre, 747 Baseline Road East, London, ON N6C 2R6 would be appreciated. Angela Ryder retired in 1996 after 26 years of service in Western Libraries. She died on January 5, 2012 at the age of 79. Beloved wife of Dale. Loving Mother of Jim and Teresa Montag and Mary and Scott Brown. Adored Yia Yia of Jeremy, Jason, William and Kayla. Cherished sister of Georgina Manos, Nick Loupos and Harry Loupos (Irene) and sister-in-law of Patricia Colesbury (Brett), Frank Ryder (Ruby), Joe Ryder (Sandy) and William Ryder (Carol). Deeply missed by her mother-in-law Eulene Ryder, her aunt Angela Vafiadis and several nieces and nephews. Audrey Russell retired as a staff member from the Sociology Department in 1997 after 26 years of service. She died on January 4, 2012 in her 81st year. Loving mom and true friend of devoted son Glenn Alexander Russell of London and daughter Carol Ann and husband Robby Cummings of Fresno, California. Dear Nanny of Ryan Frances Gray. Her love of the students and co-workers was enduring and lovingly sustained her for many years after retiring in 1997. Those wishing to make a donation in memory of Audrey are asked to consider the Trans-Canada Trail (1-800-465-3636).